We just spent the past 10 days or so, bringing in the Chinese New Year, with the New Moon in Aquarius. We have all been moving away from dangerous situations. It’s almost like we have just skimmed something that could have been catastrophic. So, now we give thanks and keep moving on! The means never justify the end! Think of The Wife with Glenn Close. I don’t want to spoil the movie, but they had a good idea, but in the end it blew up in their faces! We need to be careful of older family patterns creeping int to confuse us. This could come from generations of unresolved issues. People die and keep passing on the genetic karma, and right now it wants to be healed. 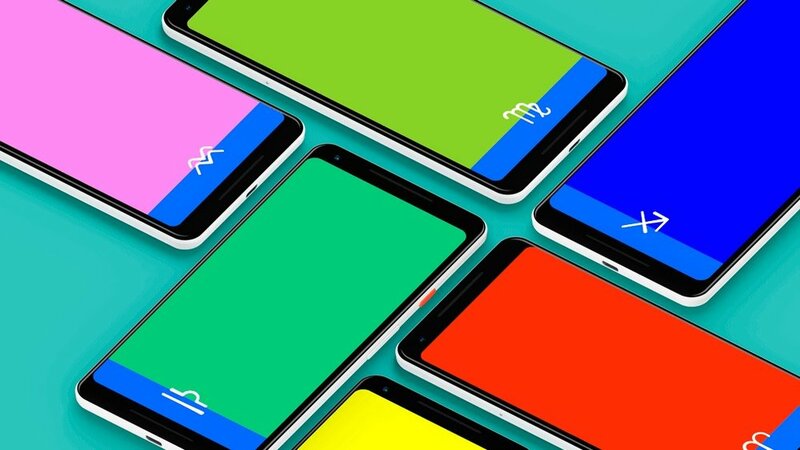 As we are in the month of Aquarius, be sure to download and install the Aquarius wallpaper for your phone and get some color therapy to help you bring out the best of the month. Also, did you know that every plant is ruled by a planet and constellation? Yeah! So, you’ll want use the plants that were created to harness the constellation of Aquarius and overcome the negative influences the archetype can throw at us with the Aquarius Essential Oil Blend and Astro Spray. This week’s chart begins with the Moon in Aries in the sixth house. Take preventative measure to avoid headaches and head injuries. Impulsive activities are probably not the best idea. There is a strong desire to get things, and we should try to balance it out with sharing with others - especially those we have forgotten. To get a clear idea of what the Aquarius season will look like for you, get a chart reading with me. Just the Simple 30 Day Personal Development Strategy is all that’s needed. If you want bigger, long-term insights, book the Personal Development Strategy. And don’t forget, you can book both me and Aurelia for a Powerhouse Consultation. Again, we are in the Age of Aquarius, the Age of Information which gives us the ability to know everything about anything! It’s a double edged sword, but it removes all and any excuses! Have a wonderful week and I thank you for being the one who makes a difference by using dash® Astrology. Monday: Moon in Aries can make us a bit impulsive and selfish. We can use the energy of the day to look within and gain a little bit of clarity before we change everything. Think cause and effect. Start preparing for Valentine’s Day - a day of love! Tuesday: We need to have an open mind so that we can get the divine inspiration we need to remove some ego blockages. If we resist, we may run into some material problems. It’s crucial, with Mars conjunct Uranus that we access our unrecognized potential and become fearless about it all! Wednesday: Mercury is floating through Pisces, exploring the deep waters of the subconscious. Be careful what you see. It could be an illusion. Watch out for love at first sight! Thursday: Today is the day of love and soulmates! We all have a soulmate and we need to focus on being the right person in order to take our relationships to the next level! Mars will enter Venus ruled Taurus, which is great for making money and increasing our self-worth! Try to stay flexible! Friday: If you’re in a love hangover today, then you might want to reconsider whatever it is you did! If you still got love on your mind, then things may be looking up! True love has endurance, without suppression or justification. Don’t worry about money, you’re worth more than you think you are. Saturday: Saturn is still slowly but surely approaching Pluto in Capricorn for some massive firmware upgrades. It’s a good time to start some weight loss programs. There is also a lot of energy to manifest desires as long as we let go of the old, failed ambitions.